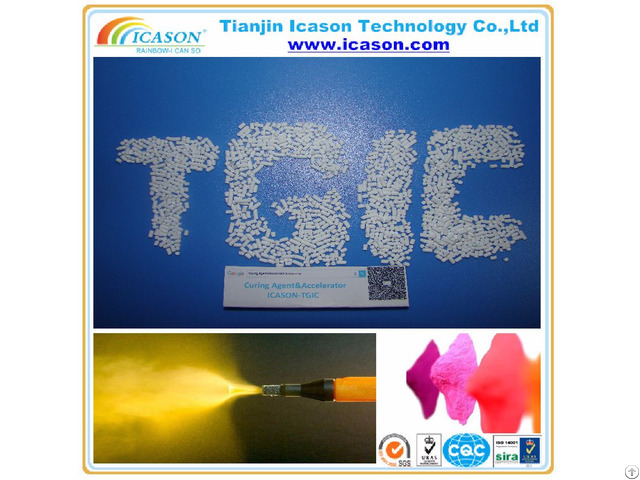 TGIC is White granule or powder, heteropolycyclic oxides, with good heat resistance, weather resistance, adhesiveness and excellent high temperature resistance properties. 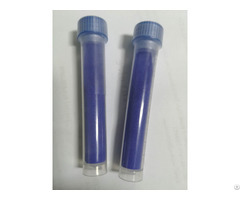 It is mainly used as carboxyl polyester and carboxyl acrylic powder coating as curing agent. 20kg or 25kg, net, flat PE-bags. Keeping cool (0-40℃) and dry in closed bags the product can be stored for at least 1 year in accordance to the specification. All opened bags should be carefully resealed immediately after use. Business Description: ICASON HOLDING GROUP is the science and technology company, with the head office in Tianjin BinHai CBD. There are five owned-entities companies, including Puyang Jiahao chemical material Co., Ltd, Changzhou Jiuhao chemical Co., Ltd, Tianjin ICASON Technology Co., Ltd, SHRUTI TECHNO SALES PVT LTD.